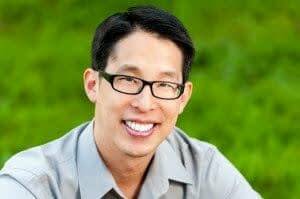 Gene Luen Yang, comic book creator of American Born Chinese, Boxers and Saints and New Super Man And The Justice League Of China, has joined the Comic Book Legal Defense Fund on their board of directors. Cartoonist and teacher, Yang served as the fifth National Ambassador For Young People’s Literature, where he launched the Reading Without Walls challenge. His graphic novels have won him ALA’s Printz Award, the Los Angeles Times Book Prize, the Eisner Award, two National Book Award nominations, and recognition as a Macarthur Fellow. He also teaches creative writing in Hamline University’s MFA in Writing for Children and Young Adults. Yang’s addition to the CBLDF Board of Directors sees him joins creators Reginald Hudlin, Jennifer L. Holm, Paul Levitz, Larry Marder, Jeff Smith, Jeff Abraham, Ted Adams, Dale Cendali, Milton Griepp, Katherine Keller, Christina Merkler and Chris Powell. Comic Book Legal Defense Fund was formed in 1986 and operated as a First Amendment-protecting activist group, serving comics creators, publishers, and retailers in covering legal expenses and campaigning for free speech rights. The CBLDF is a sponsor of Banned Books Week; and also works with libraries, helping to keep graphic novels on their shelves. In the past, they have partnered with such organizations as the Kids Right to Read Project, the American Library Association, and the Office of Intellectual Freedom as part of this mission. They have also been the subject of criticism for defending the rights of controversial figures to be published.